You are currently browsing the tag archive for the ‘Abegail Morley’ tag. This is a gem of a book. Edited by Abegail Morley, Catherine Smith and Emer Gillespie, co-founders of Ekphrasis, this anthology of poems reveals new perspectives on Alice in Wonderland from some outstanding poets. 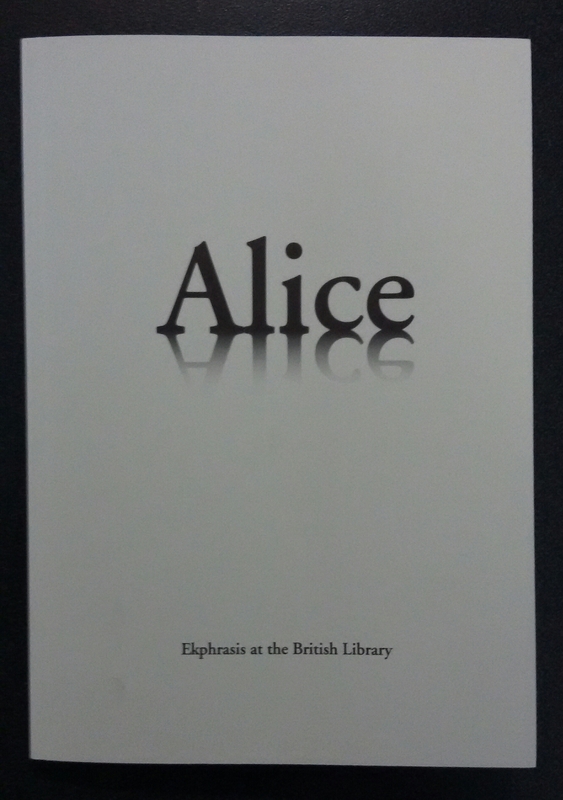 With an insightful foreword by Ian Duhig, the book formed part of the British Library’s ‘150 years of Alice’ celebration ‘creating a dialogue between one art form and another’. 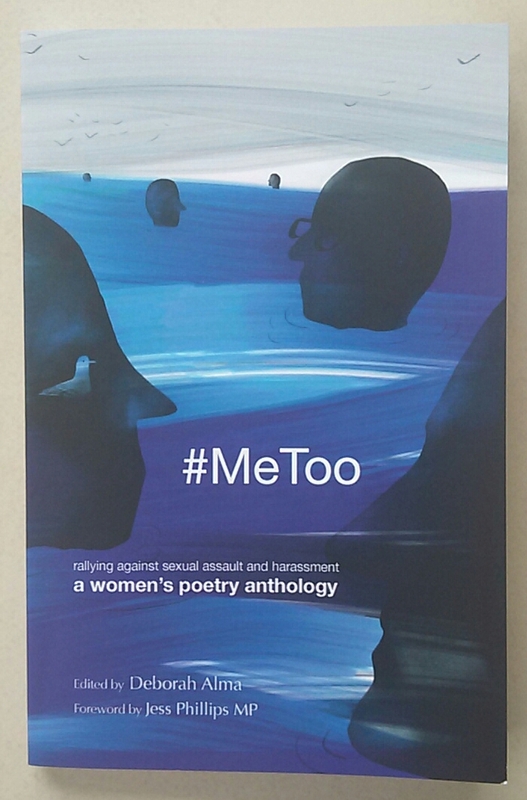 And there are some big names in here keeping the editors company – Sharon Black, Helen Ivory, Sarah Salway, Penelope Shuttle and Tamar Yoseloff to name a few, contributing exquisite pieces. I will draw on some favourites. In Abegail’s ‘Daisy Chains and Downers’ we find an Alice-esque girl ‘hanging out on Stanley Road after dark’, where ‘clocks untick’ and ‘time slackens’ culminating in ‘You can date me by bone density, scraps / of fabric, the shape my heart makes as it stops’, a beautifully haunting stanza. In Helen’s ‘Wunderkammer with Escher Stairs and Cheshire Cat’ we fall into its bizarre world where ‘the ladder kinks off into another room’ and the infamous ‘drink me’ bottle ‘shrinks the day / and the cat shapes a cave from her sleeping bones’. In Catherine’s ‘The Grin’ a child waits outside ‘the Head Teacher’s office, / convicted for day-dreaming in Trigonometry’ as their grin takes on a life of its own, ‘to take its place in the longest grass, / with all the other banished grins, / the smirks, the yawns, the blurted truths’. In Heidi Williamson’s ‘Disappearance at six o’clock’ Alice is asked to wake up ‘step out of your dream now’, a poem inspired by Stephanie Bolster’s Portrait of Alice with Persephone, where there are ‘clouds in the water / like drowned breaths’. I could go on but it would be better to read it firsthand. Poetry lovers should get a copy of this collection simply for the quality of work it contains. Non-poetry lovers should also because let’s face it, who doesn’t love Alice?! 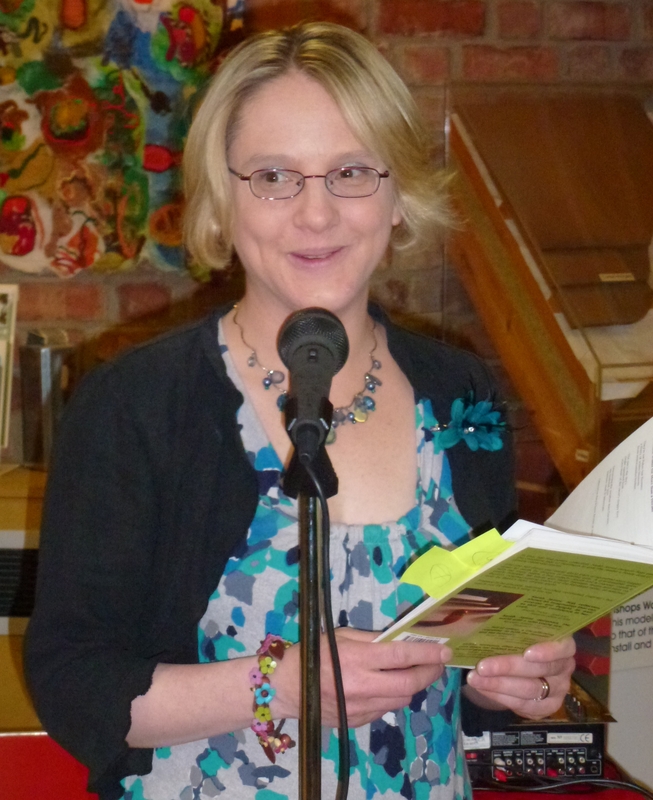 from Karen Dennison of Smashed glass at midnight on Abegail Morley’s The Poetry Shed.